I must have been in sixth or seventh grade when I attended the wedding of one of my cousins at my maternal uncle’s place in Bihar, one of India's eastern states. A very vibrant state, Bihar is full of culture and enthusiastic people who love their food... sweets especially. It seemed that everyone was at this wedding. The whole clan. All of my mother's eight siblings (oh yes, talk of family planning!) with their own kids in tow, along with many grandkids. It was complete mayhem. I tried my best to find a quiet corner and watch the chaos from afar. At such times, making friends with the cooks is always a good idea, and it wasn't hard to find them. There were halwais (cooks) stationed in the corners of the backyard, a very common practice in Indian weddings. I watched them dishing out delectable food throughout the day, especially mithais (Indian sweets). One of these sweets was particularly memorable: It was a variation of the famous Indian dessert gulab jamun, which is made with milk solids kneaded into a smooth dough, then deep fried in ghee, and, finally, soaked in sugar syrup. Even given all the craziness surrounding me at this wedding, one memory has stayed with me more than all the others. I'd fallen into a deep sleep on that hot summer afternoon, and one of the aunts suddenly sat me up and shoved this warm gulab jamun dunked in tart cold yogurt right into my mouth. The sweetness and warmth of the gulab jamun contrasting with the tangy, chilled yogurt just blew my mind. I was out of my sleep in seconds. I recently wondered how the same combination would work in a pie or tart. Turns out, it worked great. I covered store-bought gulab jamuns with some thickened, sweetened yogurt spiked with cardamom and saffron (we call it shrikhand), then added the whole lot to an almond meal crust. In moments, I was transported back to that long-ago wedding on that hot summer day in Bihar. This tart showcases strained, sweetened yogurt heady with cardamom and saffron, prepared Indian gulab jamuns (see Note below), and a honey and almond meal crust. Start preparing the tart at least several hours (or one day) before you plan to serve it to give the yogurt plenty of time to drain. Note: Find prepared gulab jamuns in your favorite Indian market. Much denser than donuts since they're generally made without leavening agents, they're sold in cans or in the freezer aisle, or buy them from a local Indian restaurant or sweet shop. To make the shrikhand: Line a wide strainer or colander with muslin or cheesecloth with plenty of overhang. Mix saffron strands into the yogurt. Transfer yogurt to the lined strainer set over a deep bowl. Cover the yogurt with the overhang. To compress and force out the excess liquid, set a small bowl or saucepan on top, and add a can of beans to weigh it down. Let strain in the refrigerator for at least 4 to 5 hours, or overnight. 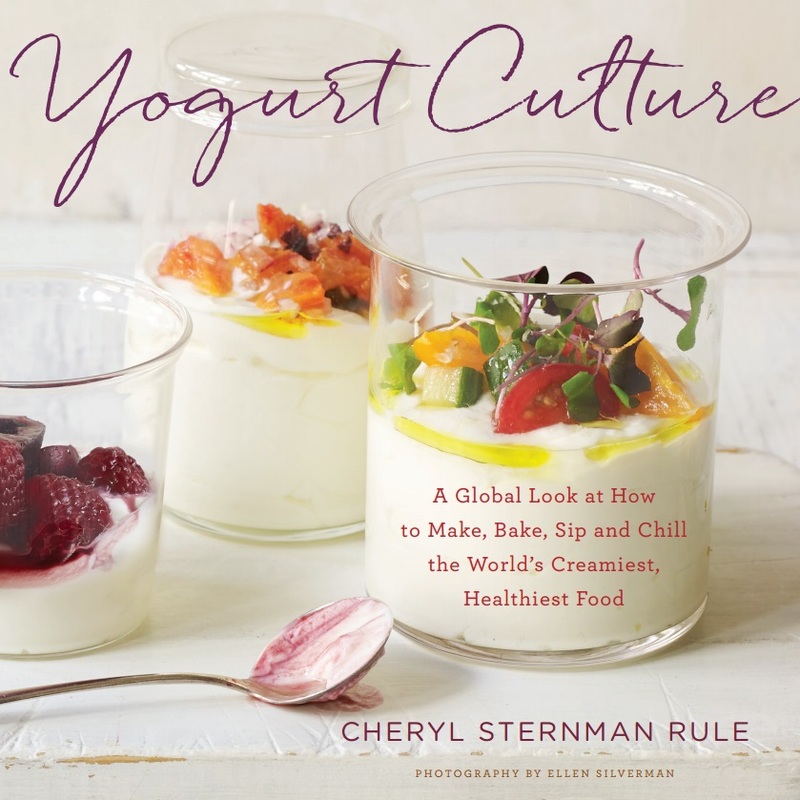 Once done, the yogurt should be very thick and creamy, almost the consistency of cream cheese. Add the sugar and crushed cardamom. Whip in an electric mixer or whisk vigorously by hand for several minutes until the sugar dissolves and the shrikhand is light. Set aside. To make the crust: Preheat the oven to 350°F. Pulse all the crust ingredients in a food processor until well-blended. Press into a 9-inch tart pan. Bake for 10 to 12 minutes. Cool completely before proceeding. To finish: Cut all the gulab jamuns in half. Plate the halves cut-sides down on the crust. Scrape the prepared shrikhand on top, smoothing over the gulab jamuns and filling the tart to the rim. Sprinkle with the silvered almonds. Refrigerate for at least 4 to 5 hours before serving, preferably with mugs of with hot coffee.